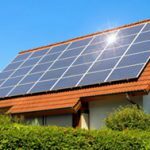 With the push for more alternative power usage all across the country, people have turned to solar power as means for generating the electricity to run as much as possible. 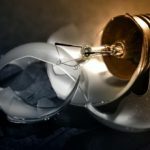 However, since the rays of the sun are only for a finite amount of time each day you have to have a way to store the power that is collected in order to use it. That is where a solar power charger controller comes into play and there are a number of different brands and models to choose from. 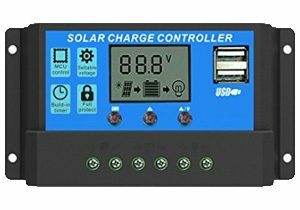 The solar power charger controller is a very vital part of the solar collection system and it is necessary in order to charge the batteries that will be used to store the power that is collected. This is why you want to be sure that you are using the correct controller for your collection system. 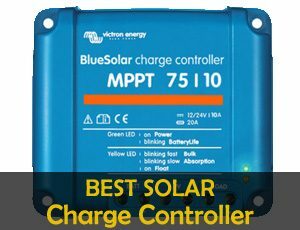 We put together a list of the top 10 Best Solar Power Charger Controllers and included a brief review of each of them. 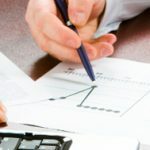 Our hope is that you have enough information to make an informed decision and find the right one for you from our list. 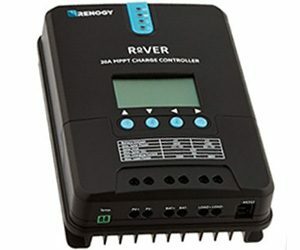 The Rover 40 Amp MPPT Solar Charge Controller from Re nogy, is a vital part of any solar panel collection system. 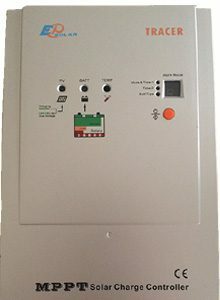 In order for the power generated by photocells embedded in the collector panels to be used it has to first run through a device like the Rover 40 Amp solar charge controller which conditions it in order for the power to safely charge the bank of batteries that are part of the power system. The Rover features MPPT technology that is designed to maintain the most efficient conversion of power from the solar collector panel. It features a large LCD display to make easier to see the important information. It also has both overcharging and over-discharging protection circuitry built in. 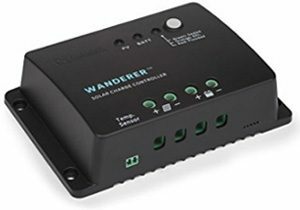 The Renogy Wanderer 30 Amp Negative-Ground solar charge controller is designed especially for any negative-ground solar panel system. This type of system allows it to be grounded directly to earth where it is the safest. It provides four-stage charging for your power storage batteries and features overcharging protection for the batteries. It can be used to charge three different types of storage batteries, gel, sealed and flooded. The internal circuitry is designed to adjust itself to a number of different variables in order to condition the power so that provides an optimum charge for the batteries. It features a number of color LED’s to indicate the status of the operation. The 20 Amp Solar Charger Controller from ALLPOWERS is a high-quality device that is a vital part of any solar power collector system. 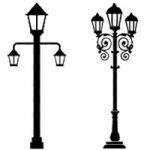 It is designed to manage and condition the power that is produced by the solar panel array that you selected. The input power from the collector enters the controller and its output is connected to the storage batteries using an internal charging system so that the power can be supplied when there is not any light to collect. The operational status is displayed on the LCD display for easy monitoring and there are two USB ports that can use to connect a tablet or Smartphone. 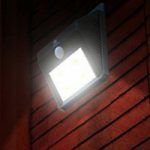 The internal circuitry features a number of built-in protections like over-current, short-circuit, inverse connection, low voltage and overcharge. 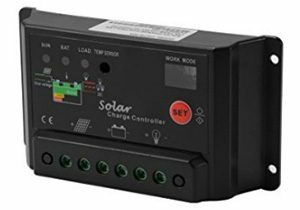 The 40 Amp MPPT solar charge controller from SolarEpic was designed to be used with a number of different 12/24V solar power generation systems. The solar array is connected directly to the charge controller and the internal circuitry helps to condition the power so that it will more efficiently deliver power to the batteries in your storage system. It is fully compatible with a number of different types of batteries such as sealed, gel and flooded. There are several different built-in protections such as over current, overcharging. You can remote monitor it using the RJ45 Ethernet port that is connected to a computer or a laptop. 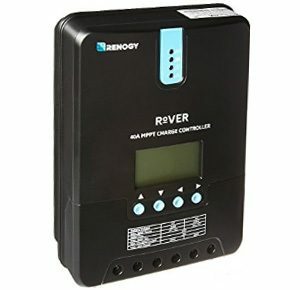 The Rover 20 Amp Solar Charge Controller from Renogy is designed to be used with a solar collector system with a maximum of 20 Amp draw. The solar charge controller is a very vital part of the system as it takes the power directly from the solar panel and feeds it to the storage batteries so that it can be used to provide the needed power for your off-grid power needs. It can be used to charge a number of different type of storage batteries; gel, sealed, flooded and lithium-ion. The unit is made using a die-cast aluminum material so that it helps to remove the heat quicker. The large LCD display helps to inform you of the status of the system using codes that can easily be looked up and explained. The XCSOURCE 30Amp Solar Charge Controller is a state of the art microprocessor controlled power management device. The controller directs the power to either the storage batteries to be stored for later use or it can be connected directly a load circuit. The built-in algorithm provides protections against overcharging of the batteries, over discharge and over voltage of the load. It features LED light indicators to display the operating status of the system. It features four stage charging for quicker, more efficient operation (Bulk, Boost, Float, and Equalization). The microprocessor controls all of the functions which makes much more reliable and you don’t have to worry so much about whether it will work properly. 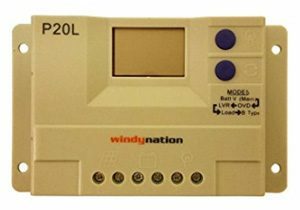 The P20L solar charge controller from WindyNation is designed especially for any solar panel system rated up to 20 amps. It is capable of directing power to several different types of batteries (AGM, lead acid, gel) and also directly to a load circuit. It can monitor and display the condition of the solar panel power coming in, the batteries being charged and the load. The status of each is displayed on the LCD on the front of the unit. The input connectors are clearly marked as to prevent misconnection and potentiometers are included to make any necessary adjustments. Built-in protection for over current, overcharging and overloading are all included to prevent damage to any part of the system. 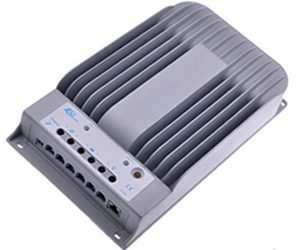 The Tracer 3215RN is MPPT type Solar Charge Controller designed especially for 30 amp solar collecting systems. It controls the flow of power from the collector to your storage batteries and or directly to a load circuit to power a number of different types of equipment. The unit is air cooled as to prevent its overheating. It has a number of different indicators include LED lights and a small LCD display to provide operational information. It can be used to charge a number of different types of batteries including gel, flooded and sealed batteries. It can be hooked directly to a number of different loads and it provides overload, over current protection to prevent damage to your system. 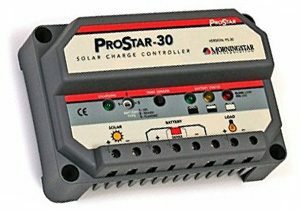 The ProStar PS30 solar charge controller is designed specifically to deliver power to charge your batteries for storing power or directly to a load circuit. It is fully compatible with sealed, gel and flooded style batteries and it monitors the condition of the power going into the batteries. It also capable of monitoring the temperature of the batteries to compensate for the heat. It provides a number of built-in protections against overloading, over current and overheating. The inputs and outputs are clearly marked to prevent misconnection that can lead to serious damage if they are hooked up incorrectly. It features several different color LED’s to display system statuses. 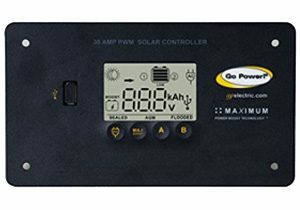 The GP-PWM-30 from Go Power is a 30 Amp Solar Regulator Charge Controller for any solar collection system up to 510 watts. It is capable of charging three different types of battery systems; wet cell, Gel, and AGM. It monitors and provides a four-stage charge in order to maintain the condition of your batteries. It also features an overcharging protection that will prevent serious damage to your batteries during any stage of the charging process. It has a large LCD display on the front of the unit to make it easy to monitor it is progress and it also has a USB port so that it can be connected to an external monitoring method. 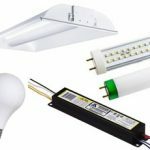 If you are looking to establish an off-grid power system and solar is your choice for generating the power than any one of the above solar power controllers would be a great option. We hope that all of the information included helps you to make an informed decision.